Tampa Bay Times journalist, Kelley Benham, documented her own preemie story and produced a report on the difficulties she faced as a micro-preemie mom. The report includes two infographics about neonatology and micro-preemies. Click the images below to see her story and to view the infographics. Here’s a selected list of additional articles on topics ranging from caring for a preemie during a natural disaster to financial planning for a child with special needs. 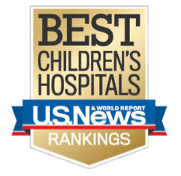 51 Top Ranked Pediatric Hospitals for Neonatology in the U.S.
financial advice. For specific medical advice, diagnoses, and treatment, please consult your doctor. Copyright 2012, All rights reserved.